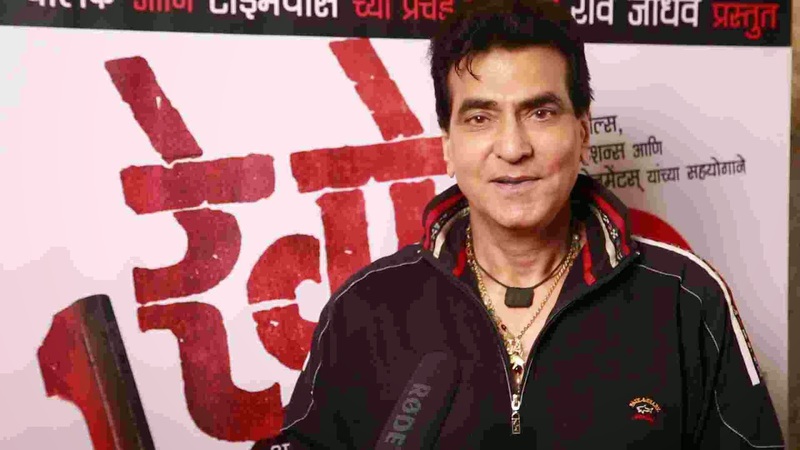 Veteren bollywood superstar Jeetendra was mighty impressed with Abhijit Panse’s directorial debut ‘Rege’ after he saw the film at a special screening at a suburban preview theater. 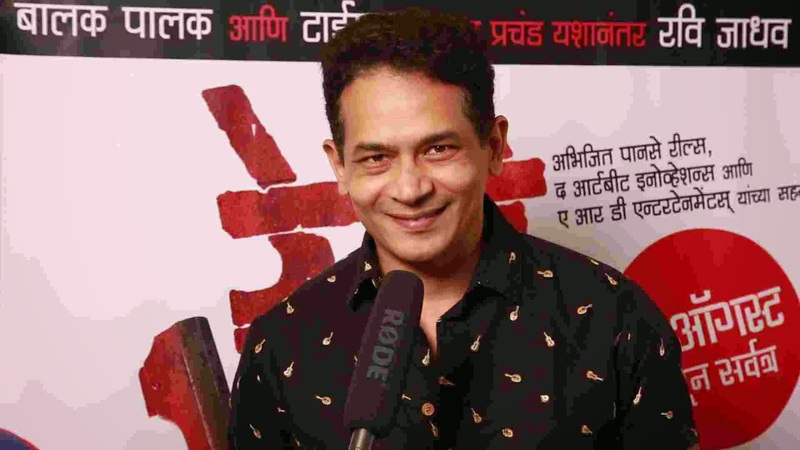 “In spite of belonging to a genre which is done to death in Bollywood, ‘Rege’ which is the first Marathi movie to explore this theme has been successful to present the new facet of the subject. It is the most realistic film I have ever seen,’ said Jeetendra. A special screening of ‘Rege’ was attended by many stalwarts from Hindi and Marathi film industry. Apart from Jeetendra, the screening saw the presense of one of the leading producers Ramesh Taurani, Sachin Pilgaonkar, Atul Kulkarni, Umesh Kulkarni, Sachin Kundalkar, Vikram Gaekwad, Chandrakant Kulkarni, Sanjay Jadhav, Ajinkya Deo, Ankush Chaudhari, Amruta Khanvilkar among others. Maharashtra Navnirman Sena chief Raj Thackerey and his wife Sharmila Thackerey were also present to give their best wishes to the entire ‘Rege’ team. The film is based on notorious fake encounter which has seen many encounter specialists from Mumbai police force going behind bars. Some of them have even been convicted by a Mumbai court in a recent ruling. “The film has all real life experiences. I have even used real names like Pradeep Sharma, Sachin Waze or D.K. 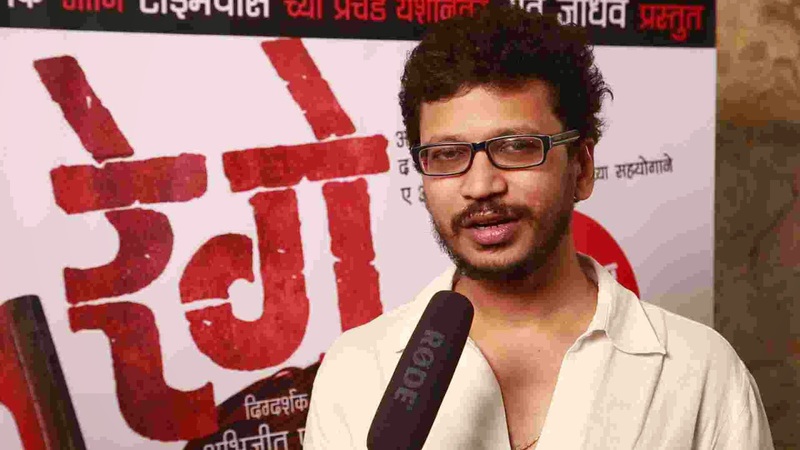 to give the film much required authenticity,” said Abhijit Panse. 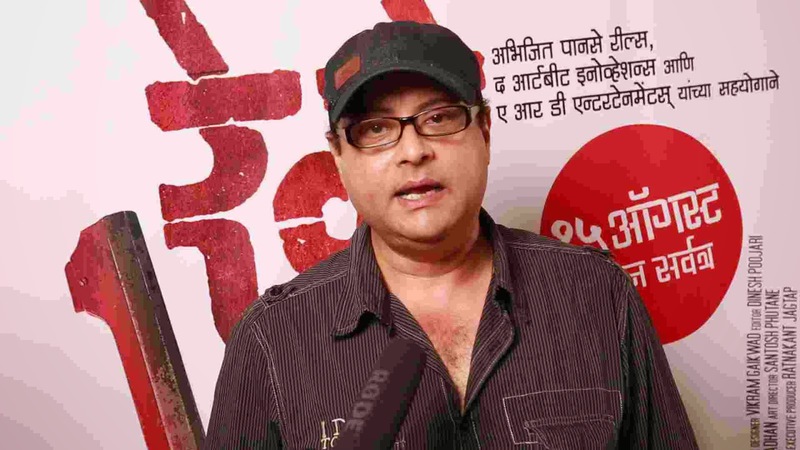 ‘Rege’ starring Mahesh Manjrekar, Pushkar Shrotri, Santosh Juvekar and debutant Aroh Velankar is written and directed by Abhijit Panse. Cinematography has been done by Mahesh Limaye, while background score has been composed by ‘Saawariya’ fame Monty Sharma. 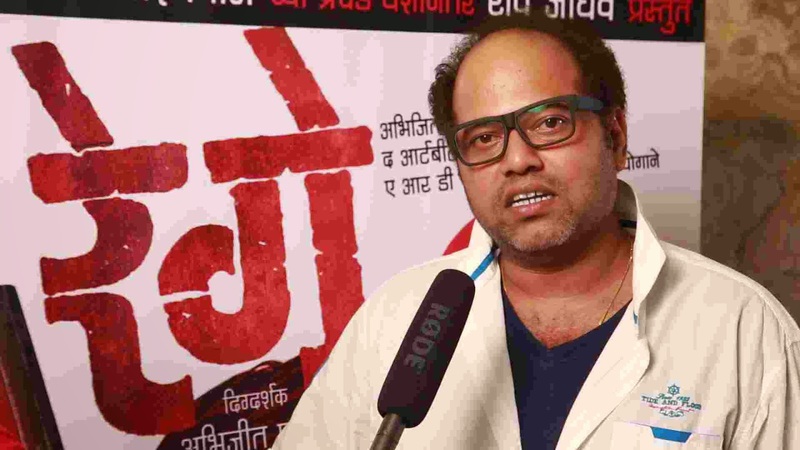 After the blockbuster success of ‘Balak-Palak’ and ‘Timepass’, Ravi Jadhav who is known as ‘the man with a midas touch’ is presenting ‘Rege’ which is releasing on 15th August. हिंदी चित्रपटसृष्टीतील जानेमाने अभिनेते, एव्हरग्रीन जीतेंद्र ‘रेगे’ पाहून भलतेच प्रभावित झाले असून त्यांनी ‘रेगे’च्या संपूर्ण टीमला शुभेच्छा दिल्या आहेत. अंडरवर्ल्ड आणि पोलिसांवर आजवर इतके चित्रपट येऊनही 'रेगे' या विषयाचा एक नवा पैलू दाखवण्यात यशस्वी ठरल्याची पावती जीतेंद्र यांनी दिली आहे. महाराष्ट्र नवनिर्माण सेनेचे अध्यक्ष राज ठाकरे व त्यांच्या पत्नी शर्मिला ठाकरे यांनीही याप्रसंगी आवर्जून उपस्थित राहात अभिजित पानसे आणि रवी जाधव यांना शुभेच्छा दिल्या. हिंदी-मराठी चित्रपटसृष्टीतल्या निवडक मान्यवरांसाठी ‘रेगे’ चित्रपटाचा एक खास खेळ नुकताच आयोजित करण्यात आला होता. याप्रसंगी जीतेंद्र, सचिन पिळगांवकर, ख्यातनाम निर्माते रमेश तौरानी, संजय जाधव, अतुल कुलकर्णी, उमेश कुलकर्णी, किशोर कदम, चंद्रकांत कुलकर्णी, सचिन कुंडलकर, अंकुश चौधरी, अमृता खानविलकर, अजिंक्य देव, जीतेंद्र जोशी, महेश लिमये, विक्रम गायकवाड आदी मान्यवर उपस्थित होते. चित्रपटात प्रमुख भूमिका साकारणारे महेश मांजरेकर, पुष्कर श्रोत्री, संतोष जुवेकर आणि आरोह वेलणकर, लेखक-निर्माता-दिग्दर्शक अभिजित पानसे, या चित्रपटाचा प्रस्तुतकर्ता रवी जाधव हेही उपस्थित होते. चित्रपट पाहिल्यानंतर जीतेंद्र भारावले होते. अंडरवर्ल्ड किंवा पोलिस एन्काउंटरवर आजवर इतके चित्रपट पाहिले, पण ‘रेगे’ पाहाताना हे पूर्वी कधीतरी पाहिलंय, असं कुठेच वाटलं नाही आणि हेच त्याचं यश आहे. तरुण मुलांनी आणि त्यांच्या पालकांनीही आवर्जून पहावा, असा हा चित्रपट आहे, कारण चकाकतं ते सगळंच सोनं नसतं, हा मोलाचा संदेश हा चित्रपट देतो, असं जीतेंद्र म्हणाले. सचिन पिळगांवकर यांनीही अशाच भावना व्यक्त करताना अभिजित पानसे याने पहिल्याच प्रयत्नात इतका खणखणीत चित्रपट दिल्याबद्दल कौतुक केले. अतुल कुलकर्णी, उमेश कुलकर्णी, सचिन कुंडलकर आदी सर्वांनीच इतक्या प्रगल्भपणे हा विषय हाताळल्याबद्दल ‘रेगे’ला पसंतीची पावती दिली.